As a charter contributor to this blog, I’m really going to miss it. I have gained so much from this participation, including the discovery of my “inner blogger” which lives on with my contributions to the Huffington Post. I hope you will follow me, like me and comment. Mostly, I’m grateful for the wonderful community this blog has created. It has expanded my horizons—I have read books by everyone who blogs, and more. What an amazing group of writers! However, this is NOT the end of iNK Think Tank, which is gaining a head of steam. Last week, Dorothy talked about our new endeavor The Nonfiction Minute It is a legacy of this blog. What are its chances—this new communal brainchild—of making its way in this world successfully? 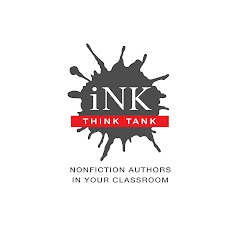 I decided to find out by sending out an email announcement to the iNK mailing list—people who are interested enough in children’s nonfiction to have registered in the iNK database of our books in print. I wrote a personal email (we know that people are more likely to open an email with a name on it) rather than a press release or corporate announcement. I quoted Alex Siy’s concept for it and gave them the link to the seven Nonfiction Minutes we have published as a sample of what will come in the fall. “Love, love, love the nonfiction minute. Great choices and thank you for the audible for each as well which permits all learners equal access. My students adore learning facts as relayed to them by talented storytellers. I am now thinking differently about each potato chip I eat. The Nonfiction Minute is a blog for kids about the various aspects of the world the fuel our passions as authors. It is our opportunity to show (not “tell”) the world why we win awards. It will lead to interest in us as brands—people who write about the real world through the filter of individual minds rather than adhering to the text-flattening guidelines for textbook writers. Feel free to spread the word. This mailing was a tiny test of the marketing waters. The idea is to do a soft launch—build a buzz before we go live in September. In August we have a marketing plan to reach 13 million teachers. I’m fastening my seat belt. Stay tuned.......This is only a "see you again, soon!"